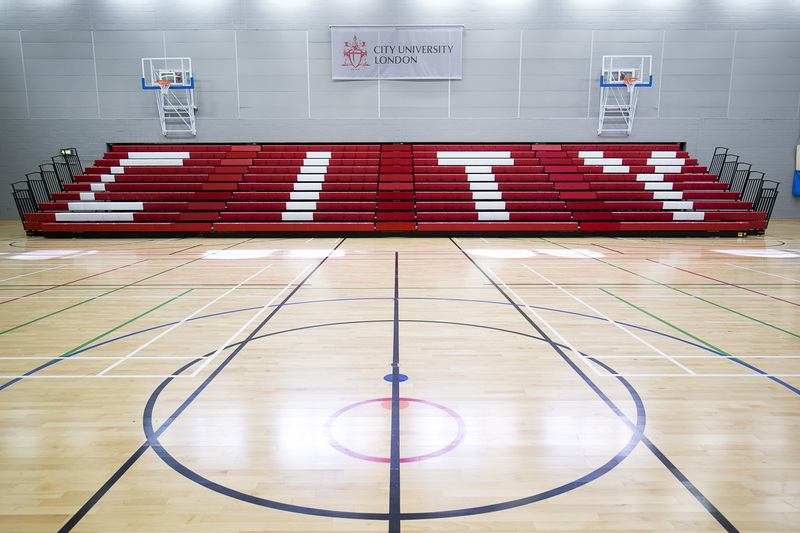 At the heart of CitySport is Sport England-standard sports hall with high performance flooring and seating for over 400 spectators. 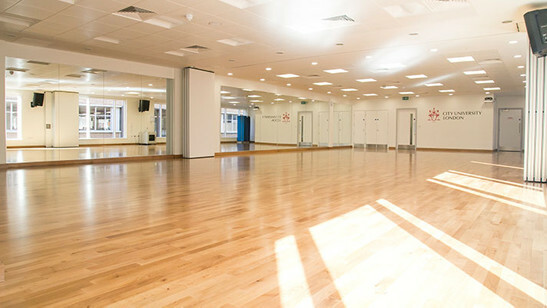 Saddlers Sports Hall provides a space equivalent to six badminton courts for a range of indoor sports such as basketball, badminton, five-a-side football, volleyball and netball. The outstanding fully-sprung Juncker flooring, high-specification sports equipment and impressive lighting systems means that CitySport provides outstanding show courts fir matches and tournaments. The venue recently hosted the new Varsity series between The City Wolfpack and the Kingston Cougars in a bid to win the Thames River Trophy. The City Wolfpack were victorious and were cheered on by spectators and the CityWolf, the new official students' sport mascot. Access our price list for hiring our Sports hall as a member and non-member for Badminton, Basketball, 5-a-side, Netball, Table Tennis and Volleyball.